Thanks to adoptive parents who have ordered short videos of their supported children, you can peek into the everyday life of families and make a better idea of what conditions children come from… This time we present the story of Huldy, who, with the support of the adoptive parent, completed the basic degree of education and is now studying in high school. With the simple visit to Mfangano Island, last 2017, by the Cooperators and donors from Czech and Slovak Republics, created the idea of doing fish farming project in Island of Hope Community Centre on Rusinga Island. The project started last Jan. 26, 2018. Started the repairs and improvement of the existing 2 x 2 m fish cage and fabricated 6 units 6 x 6 m fish cages. Also improved the existing 2 ponds which was used initially to rear the future breeders of the Fish Hatchery. 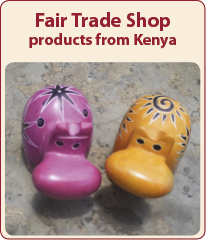 Individuals, groups, families, organisations, classes or schools are involved in the project. We thank especially to one of the schools – basic school Volary – and we share received contribution. Get involved! You can be in touch with particular kid from Kenya already from January 2019 and follow his/her life and dreams. 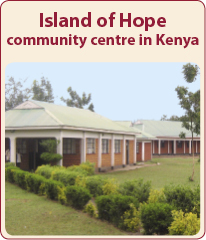 Your donation will support particularly long term sustainability of community center Island of Hope which is visited by over than 500 children daily. Its part is kinder-garden, basic and boarding high school, orphanage, 24/7 health center, library with PC class and farm. There is a new fish farm at Victoria lake side too. The profit from the farm will financially support catering for children and operations of the center – health care, social and education services. We would like to thank to all adoptive parents, children and volunteers from the program for their touching stories they sent us. We very much appreciate your help. Jitka Ježková, Marcela Březinová or Filip Rajmont also belong to the group of the adoptive parents. You can read the stories of 15 years of adoption on AdopceAfrika.cz or look at the photo gallery on facebook. It makes a difference, please share it!